The Rashmi robot was developed by a Ranchi-based software engineer and it now holds its own show on Red FM. 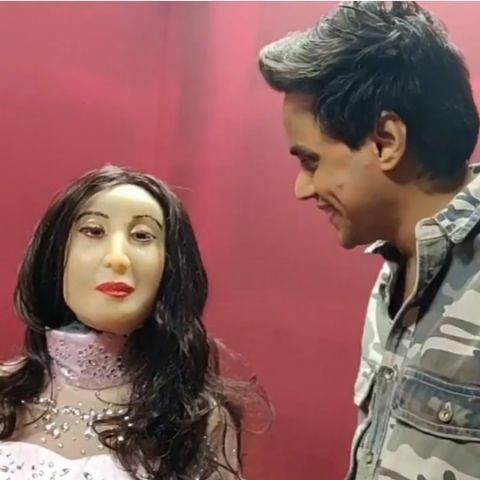 Back in August, news came of an indigenously developed humanoid robot called “Rashmi,” which is made by Ranjit Srivastava, a 38-year-old Ranchi-based software engineer. The robot was called the Indian version of Sophia robot, which is developed by Hanson Robotics, a Hong Kong based company. Rashmi is said to have snagged the title of being the first RJ robot as it started RJ’ing for Red FM from December 3. The robot hosts an “Ask Rashmi” segment where it listens to the user’s queries and replies to them. Srivastava says that the robot is India’s first lip-syncing robot that uses Artificial Intelligence (AI), Linguistic Interpretation (LI), visual data and face recognition systems enabling it to act and answer queries like a human being. Development of the Rashmi robot is said to have taken two years and Rs 50,000 approximately. Alongside English, Rashmi can converse in Hindi, Bhojpuri and Marathi. Hindustan Times reports that Srivastava had the idea to build a robot that can speak natively after watching Sophia. “When I saw it and its functions, I thought it could be developed and decided to develop a Hindi speaking robot in July 2016,” said Srivastava. It is quite interesting how robots are taking over the world, metaphorically of course. Engineers around the world are developing robots for numerous applications and they come in various shapes and sizes. Many robot designs are inspired by nature and to build biomimetic robots, engineers study animals and understand their skeletal structures and how their muscles work. These movements are then realised when translated into servos and actuators and the end result is a robot inspired by nature's creations. You can read our list of 10 robots that have been inspired by nature here.